Also crucial to our work is the production of multi-lingual publications related to our programs, introducing an artist, an exhibition, an artistic trend or genre. These catalogues, books and other informative material place our artists within an international context, while effectively providing foreign experts with a panorama of the current contemporary art scene in Hungary. The annual photography fair, Paris Photo is one of the world's foremost showcase events for the still image. In 2010 Paris Photo was focusing on 5 Central European countries: Czech Republic, Hungary, Poland, Slovakia and Slovenia. Besides Vintage Gallery, regular exhibitor at Paris Photo since the beginnings, two other Hungarian galleries – Faur Zsófi – Ráday Gallery and Lumen Gallery were also invited to participate in the Statement section of the fair. On the occasion of Paris Photo 2010 ACAX produced a guide about contemporary Hungarian photography in order to introduce the Hungarian photography scene to the visitors of the fair. The publication contains a short essay (in English and French) illustrated with photos about current trends in Hungarian photography and a map indicating the most important Hungarian institutions, galleries dealing with photography. The author of the essay is Gábor Pfisztner, art critic. 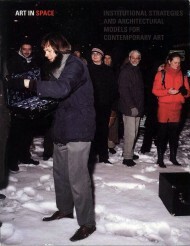 Transitland – Video Art from Central and Eastern Europe 1989-2009, published by ACAX / Ludwig Museum in 2009 is the accompanying publication to the Transitland project. The 300 pages reader examines the video art of the last twenty years in post-Socialist Central and Eastern Europe. It contains eighteen essays, six of which were commissioned specially for this volume and a videography of the 100 works included in the Archive. The authors of the book are well-established professionals in the region – curators, critics and artists. They provide selective analyses of different aspects, and an angle on the field observed, demonstrating its fecundity and vividness. 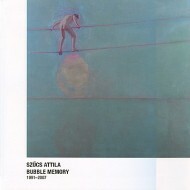 Accompanying Attila Szűcs’s first comprehensive exhibition Bubble Memory at WAX a catalogue of 144 pages was published. The publication provides an in-depth overview of Szűcs’s latest oeuvre, with an introduction by Lívia Páldi, an analytic study by Sándor Hornyik, and Zsolt Kozma’s interview with the artist. The catalogue also presents an extensive picture material. On the occasion of Kriszta Nagy x-T’s solo exhibition at WAX in 2007, ACAX published an oeuvre catalogue with essays and numerous reproductions of her works. In their thorough studies renowned critics and curators - Edit András (art historian), Hedvig Turai (art historian) and Márta Csabai (psychologist) - analyze and contextualize Nagy’s unique artistic work. In addition the catalogue also includes a complete bibliography of past publications and articles about the artist. The publication is the edited and reassembled version of the panel discussion Art In Space, held in the framework of Art Forum Berlin on the 4th of October 2006. The 60 pages reader discusses the possible structure of contemporary art institutions and their intellectual and actual scope of action in the context of different international experiences and current institutional trends. 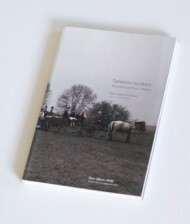 The 110 pages catalogue was published on the occasion of the exhibition High-Angled Lowlands - Current Art from Hungary in Neuer Berliner Kunstverein in 2006. Through interviews and essays seven Hungarian art critics present seven artistic practices in various genres and with varied approaches. The artists presented in the volume are: Emese Benczúr, Marcell Esterházy, Pál Gerber, László Gergely-Péter Rákosi, Anikó Lóránt, Gábor Ősz, Krisztián Kristóf-Tamás Kaszás (The Randomroutines). 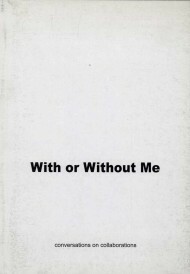 With or Without Me is Miklós Erhardt’s ongoing interview project that focuses on those definitive characters of the art scene that have valuable experience in the field of collaborative artistic practices. The present volume, which contains 12 interviews made between January and November 2006, was published on the occasion of the real-time installation of the project's website, curated by Stevan Vukovic in the Galerija SKC, Belgrade.